Shop for MP3s. Get Tammy Wynette essential facts below. View Videos or join the Tammy Wynette discussion. Add Tammy Wynette to your PopFlock.com topic list for future reference or share this resource on social media. 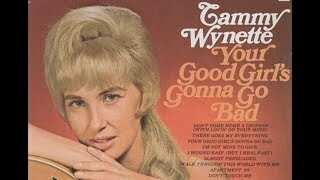 Tammy Wynette (; born Virginia Wynette Pugh; May 5, 1942 - April 6, 1998), was an American country music singer-songwriter and one of country music's best-known artists and biggest-selling female singers. 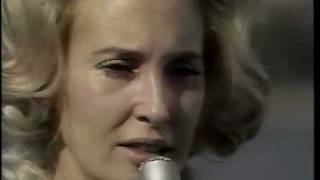 Tammy Wynette was born Virginia Wynette Pugh near Tremont, Mississippi, the only child of Mildred Faye (ne;e Russell; September 3, 1921 - June 24, 1991) and William Hollice Pugh (June 2, 1916 - February 13, 1943). Wynette's father was a farmer and local musician who died of a brain tumor when Wynette was nine months old. Her mother worked in an office, as a substitute school teacher, and on the family farm. After her husband's death, Mildred Pugh left her daughter in the care of her own parents, Thomas Chester Russell, and his wife, Flora, and moved to Memphis to work in a defense plant during World War II. In 1946, Mildred Pugh married Foy Lee, a farmer. Wynette attended Tremont High School, where she was an all-star basketball player. A month before graduation, several months before her 18th birthday, she wed her first husband, Euple Byrd. He was a construction worker, but had trouble keeping a job, and they moved several times. 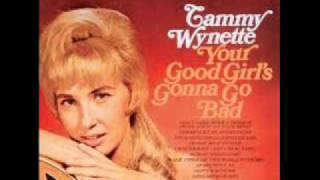 Wynette worked as a waitress, a receptionist, and a barmaid, and also in a shoe factory. In 1963, she attended beauty college in Tupelo, Mississippi, where she learned to be a hairdresser. She continued to renew her cosmetology license every year for the rest of her life - just in case she ever had to go back to a daily job. She left Euple, her first husband, before the birth of their third daughter. That baby developed spinal meningitis, and Wynette tried to earn extra money by performing at night. Euple did not support her ambition to become a country singer, and according to Wynette, as she drove away he told her, "Dream on, Baby". Years later, he appeared at one of her concerts as she was signing autographs and asked for one. She signed it "Dream on, baby." 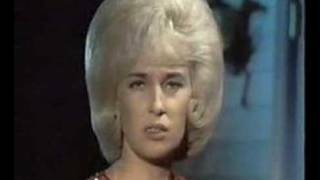 In 1965, Wynette sang on the Country Boy Eddie Show on WBRC-TV in Birmingham, meanwhile working as a hairdresser in Midfield, Alabama, and this led to performances with Porter Wagoner. In 1966, she moved with her three daughters (Gwen, Tina, and Jackie) from Birmingham to Nashville, Tennessee, where she attempted to get a recording contract. After being turned down repeatedly by all of the other record companies, she auditioned for the producer Billy Sherrill. 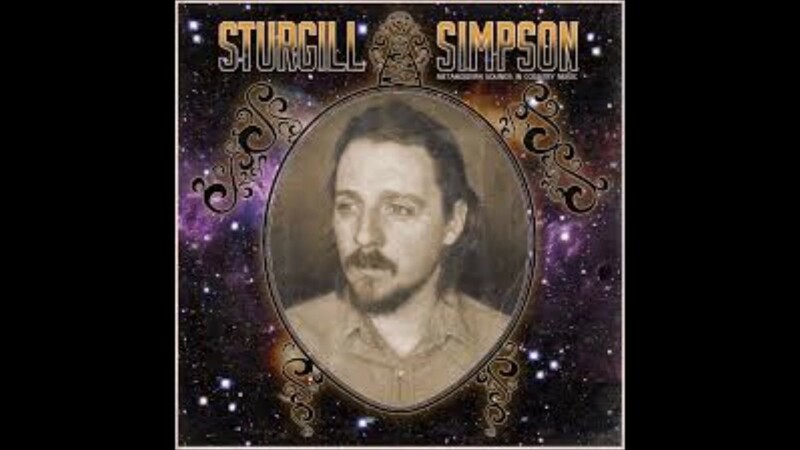 Sherrill was originally reluctant to sign her, but decided to do so after finding himself in need of a singer for "Apartment No. 9". When Sherrill heard Wynette sing it, he was impressed and decided to sign her to Epic Records in 1966. Her first single, "Apartment No. 9" (written by Bobby Austin and Johnny Paycheck), was released in December 1966, and just missed the top 40 on the Country charts, peaking at number 44. It was followed by "Your Good Girl's Gonna Go Bad", which became a big hit, peaking at number three. 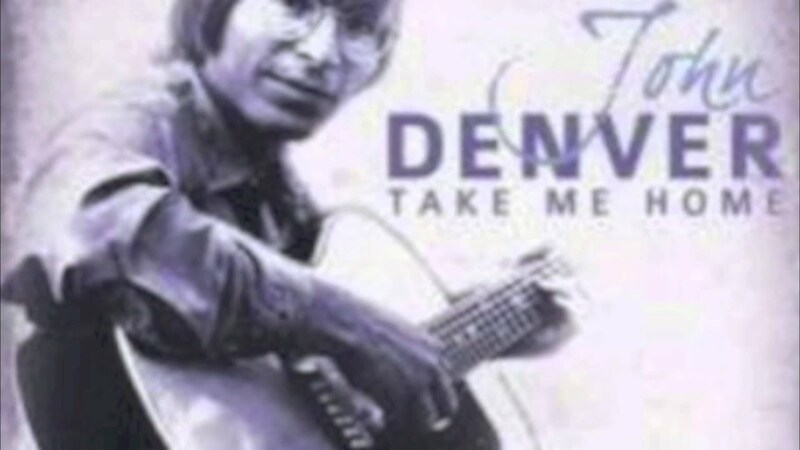 The song launched a string of top-ten hits that ran through the end of the '70s, interrupted only by three singles that didn't crack the Top Ten. After "Your Good Girl's Gonna Go Bad" was a success, "My Elusive Dreams", a duet with David Houston, became her first number one in the summer of 1967, followed by "I Don't Wanna Play House" later that year. "I Don't Wanna Play House" won Wynette a Grammy award in 1967 for Best Female Country Vocal Performance, one of two wins for Wynette in that category. During 1968 and 1969, Wynette had five number-one hits - "Take Me to Your World", "D-I-V-O-R-C-E", "Stand by Your Man" (all 1968), "Singing My Song", and "The Ways to Love a Man" (both 1969). "Stand by Your Man" was reportedly written in the Epic studio in just 15 minutes by Billy Sherrill and Wynette, and was released at a time when the women's-rights movement was beginning to stir in the U.S. The message in the song stated that a woman should stay with her man, despite his faults and shortcomings. It stirred up controversy and was criticized initially, and it became a lightning rod for feminists. Nevertheless, the song became very successful, reaching the top spot on the Country charts, and was also a top-20 pop hit, peaking at number 19 on the Billboard pop charts in 1968, Wynette's only top-40 hit as a solo artist on the pop charts. In 1969, Wynette won the Grammy award for Best Female Country Vocal Performance for "Stand by Your Man", which is now, according to critics, considered a "classic" or Country music "standard". 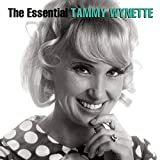 She earned a gold record (awarded for albums selling in excess of 500,000 copies) for Tammy's Greatest Hits which was certified in 1970 by the RIAA. The album was awarded platinum record status (awarded for albums selling in excess of 1,000,000 copies) in June 1989. In 1970, director Bob Rafelson used a number of her songs in the soundtrack of his 1970 film Five Easy Pieces. During the early 1970s, Wynette, along with singer Loretta Lynn, ruled the country charts and was one of the most successful female vocalists of the genre. During the early 1970s, number-one singles included "He Loves Me All the Way" "Run Woman, Run" and "The Wonders You Perform" (all from 1970), "Good Lovin' (Makes it Right)", "Bedtime Story" (both 1971) "My Man (Understands)", "'Til I Get it Right" (1972), and "Kids Say the Darndest Things" (1973). One of them, "The Wonders You Perform", was a hit in Italy in 1971, thanks to Ornella Vanoni, who recorded the song in an Italian version, "Domani un altro giorno" ("Tomorrow is another day"). Concurrent to her solo success, a number of her duets with Jones reached the top ten on the U.S. country singles charts during this time, including "The Ceremony" (1972), "We're Gonna Hold On" (1973), and "Golden Ring" (1976). In 1968, Wynette became the second female vocalist to win the Country Music Association Awards' "Female Vocalist of the Year" award, later winning an additional two other times (1969, 1970). For nearly two decades, Wynette held the record for most consecutive wins, until 1987 when Reba McEntire won the award for the fourth consecutive time. She recorded a song with the British group The KLF in late 1991 titled "Justified and Ancient (Stand by the JAMs)", which became a No. 1 hit in eighteen countries the following year, and reached No. 11 on the Billboard Hot 100 in the United States. The song gave Wynette a new following, and was her highest-charting single on the Billboard Pop charts. In the video, scrolling electronic titles said that "Miss Tammy Wynette is the first lady of country music" and listed a number of her accomplishments in the recording industry. Wynette appeared in the video wearing a crown and seated on a throne. She recorded a cover version of The Beach Boys' "In My Room", a duet with Brian Wilson, for the group's 1996 comeback album Stars and Stripes Vol.1. The track was held back for a proposed second volume, which never appeared, but Wynette's performance is included in the TV documentary Beach Boys: Nashville Sounds. "In My Room" can be found on the album "Tammy Wynette Remembered"(a posthumous tribute album to Tammy Wynette). It was released on September 8, 1998. Wynette lent her vocals on the UK No. 1 hit Perfect Day in 1997, which was written by Lou Reed. 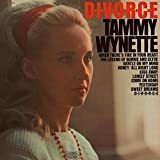 Wynette was married five times: to Euple Byrd (married April 1960 - divorced 1966), had three daughters; to Don Chapel, born Lloyd Franklin Amburgey (m. 1967 - annulled 1968); to George Jones (m. February 16, 1969 - divorced March 21, 1975); to Michael Tomlin (m. July 18, 1976 - a. September 1976) 44 days; and to singer-songwriter George Richey (m. July 6, 1978 - her death April 6, 1998). Richey was her manager throughout much of the 1980s. In her autobiography Stand By Your Man, Wynette claimed Jones used to beat her and at one point fired a shotgun at her, allegations that he denied. 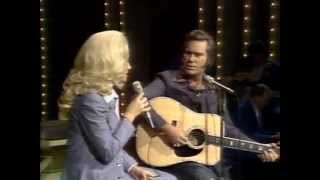 Wynette was once linked romantically with actor Burt Reynolds and they were good friends up to Wynette's sudden death. Wynette had three children with Byrd; she gave birth to two daughters by the time she was 20. Gwendolyn Lee ("Gwen") Byrd (born April 15, 1961), Jacquelyn Faye ("Jackie") Byrd (born August 2, 1962) and Tina Denise Byrd (born March 27, 1965). According to Tammy's autobiography Stand by Your Man, Tina was born three months prematurely, and spent her first three months in an incubator. Tina weighed an estimated two pounds at birth. She was not quite five pounds when she arrived home at three months old, and Tina was home for only three weeks when a relative whom Tammy lived with at the time said "Every time I try to pick her up, she screams in pain and I think it's her back." Tina was diagnosed with spinal meningitis, and was given a slim chance to live through it. Tina spent two and a half weeks in an isolation room and finally after seventeen days was taken off the quarantine list. Tina spent seven weeks in the hospital overcoming all odds. All the doctors, nurses everyone in the hospital called her the "Miracle Baby". Tina, in 1975, is featured on one of Jones and Wynette's duet albums, George and Tammy and Tina. She appeared on two songs "The Telephone Call" with George and "No Charge" with her mom, Tammy. 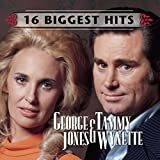 Wynette also had a daughter with George Jones, Tamala Georgette Jones (born October 5, 1970), who is also a country singer; Georgette worked as a registered nurse for 17 years. She currently keeps her Nurses license renewed yearly just as her mom did with her Beauty Operator's license. Georgette has released a few successful albums. Georgette's 2010 debut album Slightly Used Woman, Strong Enough To Cry and in 2013, she released a tribute album to her mother, Til I Can Make It on My Own, featuring some of her mother's biggest songs "Til I Can Make It on My Own" which Wynette, Billy Sherrill, and Richey wrote, and "Stand by Your Man" written by Wynette and Sherrill that became Tammy's signature song. George Jones legally adopted Tammy's oldest daughters Gwen, Jackie and Tina shortly after Jones and Wynette got married. Wynette was reported to be kidnapped at gunpoint at a Nashville shopping mall on October 4, 1978. She claimed that the masked attacker physically assaulted and abandoned her 80 miles south of Nashville. Wynette was documented with bruises and a broken cheekbone. One of Wynette's children, Jackie Daly, in her 2000 memoir, published that her mother had confessed to her that the kidnapping was a hoax to cover up domestic violence from her fifth husband, George Richey. He denied the allegation. While the kidnapping's events remain ambiguous, Wynette's children later sued and settled with Richey for their mother's wrongful death. Just after Christmas 1993, Wynette woke in the middle of the night with severe pain and was rushed to The Baptist Hospital in Nashville, Tennessee. She was comatose five days as a result of a bile duct infection. Once she was out of the coma she underwent an intestinal bypass operation. She resumed touring not long afterwards. Pamela Lansden of People quoted Wynette's personal spin on life's tribulations as "The sad part about happy endings is there's nothing to write about." After years of medical problems which resulted in numerous hospitalizations, roughly 15 major operations and an addiction to pain medication, Wynette died on April 6, 1998 at the age of 55 while sleeping on her couch. Wynette's doctor from Pennsylvania said she died of a blood clot in her lung. Despite her persistent illnesses, she continued to perform until shortly before her death and had other performances scheduled. A public memorial service, attended by about 1,500 people, was held at Nashville's historic Ryman Auditorium on April 9, 1998. A private, grave-side service had been held earlier with a crypt entombment at Nashville's Woodlawn Memorial Park Cemetery. Her death solicited reactions such as that of songwriter Bill Mack, quoted in the Dallas Morning News, who said she was a "class act" and "irreplaceable" and that "she never knew a flat note." Lee Ann Womack was quoted also; she said of Wynette, whose songs often evoked strength and controlled passion, "You knew she knew what she was singing about. You can put her records on and listen and learn so much." Wynette was survived by her husband George Richey, four daughters and eight grandchildren. In April 1999, her body was exhumed from her crypt in an attempt to settle a dispute over how she died. A new autopsy was conducted on her a week after three of her daughters filed a wrongful death lawsuit against her doctor and her husband/manager, George Richey, claiming they were responsible for her death 12 months earlier. 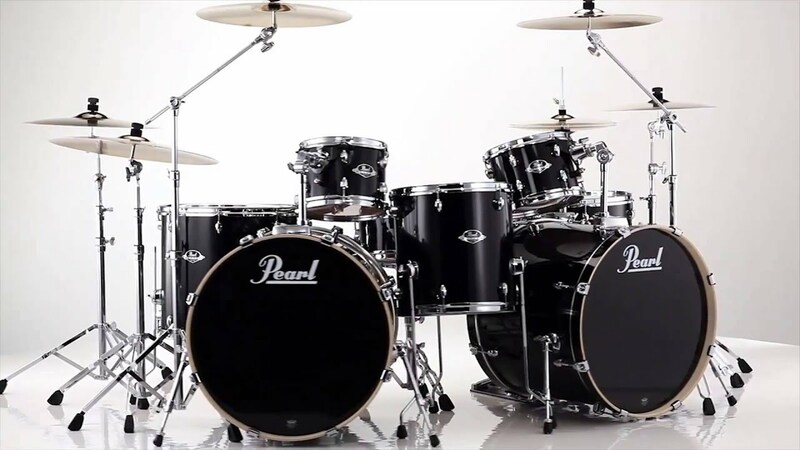 The coroner declared that she died from cardiac arrhythmia. In May 1999, George Richey was dropped from the wrongful death lawsuit because he was preparing to sue them for frivolous litigation. Wynette's daughter, Jackie Daly, sold her story to Star magazine before asking Richey the "questions" she wanted answered about her mother's death. Richey never was personally asked these questions; the daughters sought solace in the press to garner these intimate personal details of their mother. Wynette was reinterred in the Woodlawn Cross Mausoleum, at Woodlawn Memorial Park Cemetery, Nashville, Tennessee. She rests in the same Nashville cemetery as other country music luminaries as former husband, George Jones who died in April 2013, Webb Pierce, Jerry Reed, Marty Robbins, Bobby Russell, Porter Wagoner, Red Foley and Eddy Arnold, among many others. In March 2012, the name on Wynette's tomb was changed from "Tammy Wynette" to "Virginia W. Richardson", her final legal married name. In March 2014, the name on the tomb was changed back. 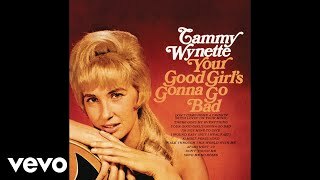 Tammy Wynette is considered by numerous music critics from Allmusic and Rolling Stone to be one of the greatest and most influential female singers in country music history. Many other female country singers have been influenced by Wynette, including Sara Evans, Faith Hill, and Lee Ann Womack. In 1998, following Wynette's death, she was inducted into the Country Music Hall of Fame, one of the highest honors of her career. 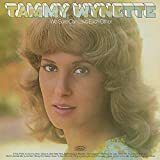 A special CD collection titled Tammy Wynette: Collector's Edition was released in 1998, that included Wynette's signature "Stand by Your Man", which even charted outside the Top 40 on the Country charts that year. Wynette's signature song "Stand by Your Man" has been covered by both men and women alike. Fellow country singers, including Lynn Anderson, Dottie West, Loretta Lynn, Elton John and Lyle Lovett have covered the song, as well as rock bands, including Me First and the Gimme Gimmes, Lemmy of Motrhead with Wendy O. Williams of The Plasmatics, Martina McBride covered Wynette's 1976, "'Til I Can Make It on My Own" for her 2005, Timeless album, which was a cover album of Country music standards. It was covered comedically in the 1980 film "The Blues Brothers". "Stand by Your Man" placed at No. 48 on RIAA's 1997 list of Songs of the Century, which consisted of the 300 of their considered-to-be greatest and best-known songs of the twentieth century. 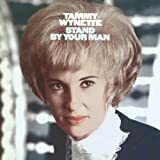 In April 2008, the CD Stand by Your Man - The Best of Tammy Wynette, released by Sony BMG to mark the 10th anniversary of her death, entered the UK Official Album chart at number 23. 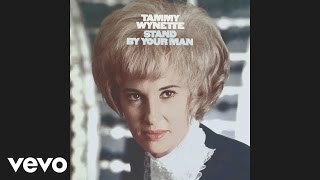 A group of friends and volunteers are currently planning a Tammy Wynette Museum in Tremont, Mississippi. The State of Mississippi will provide part of the funding. There are also efforts to produce a Tammy Wynette stamp through the US Postal Service. One of Tammy's last appearances was on the animated TV series King of the Hill as Hank Hill's mother, Tilly. After Tammy's death, she was replaced on the show by Beth Grant and later K Callan. Rock Musician Tom Waits mentions Tammy Wynette on his 1975 album, Nighthawks at the diner in the song "Warm Beer & Cold Women"
Hillary Clinton in 1992, responding to 60 Minutes interview questions about her husband "You know, I'm not sitting here, some little woman standing by my man like Tammy Wynette" Wynette demanded a public apology and both Clintons apologized. Starlight Express - a musical in which a character, Dinah the Dining Car, sings a number based on her song, "D.I.V.O.R.C.E." ^ a b "Tammy Wynette's grave once again features performer's stage name". Musictimes.com. Retrieved 2014. ^ a b Wynette, Tammy, with Joan Dew. Stand by Your Man. New York: Simon and Schuster, 1979. pp. 13-18, 34. ISBN 978-0671228842. ^ a b c Stephen Thomas Erlewine. 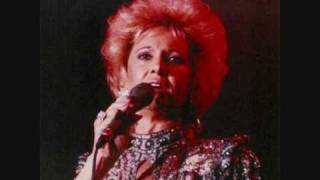 "Tammy Wynette | Biography". AllMusic. Retrieved . ^ Stand by Your Man, p. 83. ^ Stand by Your Man, p. 102. ^ Whitburn, Joel. Billboard Top Pop Singles, 12th Edition. Menomonee Falls, WI: Record Research, Inc., 2009. p. 1079. ISBN 978-0-89820-180-2. ^ a b c d "Tammy Wynette Biography". Musicianguide.com. Retrieved . ^ Joan Dew. Singers and Sweethearts: The Women of Country Music. Dolphin, 1977. Also Roy Blount, Jr., "Country's Angels", Esquire, March 1977, pp. 62-66 . ^ The New York Times report on her memorial service reports her bankruptcy, April 10, 1998, p. D-19. ^ The New York Times, April 7, 1998, p. A-24. ^  Archived December 1, 2008, at the Wayback Machine. ^ "Nightline Transcript - Making Hillary Clinton An Issue | The Clinton Years | FRONTLINE". PBS. Retrieved . ^ Quotation from a combination of partial quotations reported in Newsweek, vol. 131, No. 16, April 20, 1998, p. 59, and in The New York Times, Apr 7, 1998, p. A-24. 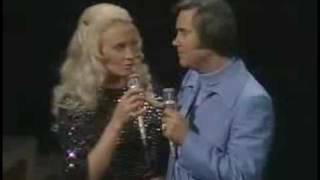 ^ "Looking Back on George Jones and Tammy Wynette's Marriage". Wide Open Country. 2015-12-13. Retrieved . ^ Betts, Stephen L.; Crawford, Robert; McKenna, Brittney; Gage, Jeff (September 7, 2017). 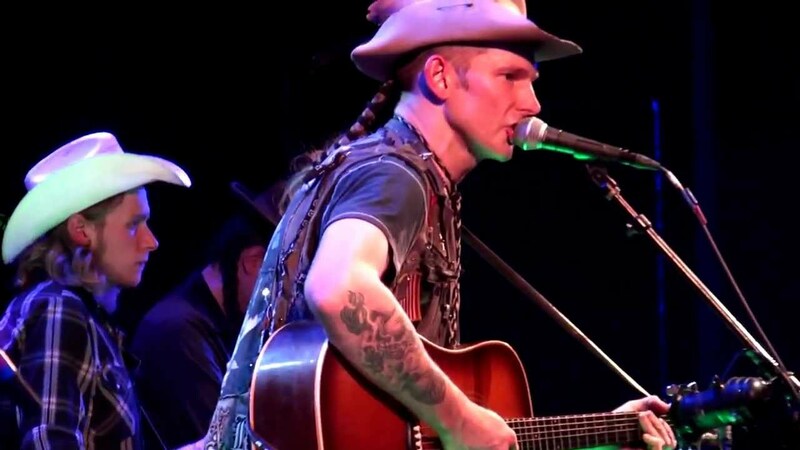 "Horses, Guns and Drugs: Country Music's 10 Wildest Stories". Rolling Stone. Retrieved 2017. ^ Jimmy McDonough (February 22, 2011). Tammy Wynette: Tragic Country Queen. Penguin Group USA. ISBN 978-0-14-311888-6. ^ "Tammy Wynette o Tammy Wynette joined the cast of the CBS soap". Tammywynette.tumblr.com. 2011-03-24. Retrieved . 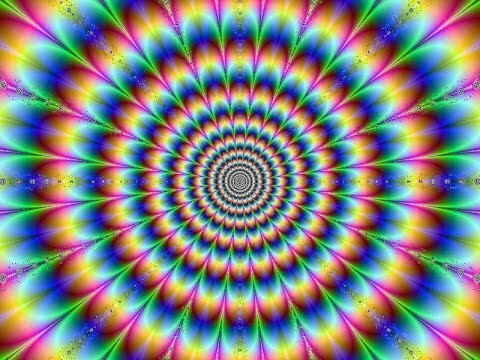 ^ See above, "Health Problems". Also, Yahlin Chang, "Country Music Mystery", Newsweek, April 19, 1999, p. 62. ^ The New York Times, April 10, 1998, p. D-19. ^ The lawsuit and request for exhumation was reported by Yahlin Chang, "Country Music Mystery", Newsweek, April 19, 1999, p. 62. ^ Neil Cossar (May 4, 2011). 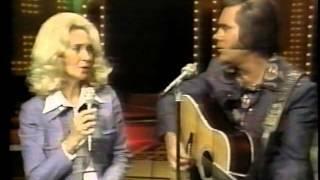 "This Day in Music, May 5: Tammy Wynette and Elvis Presley". The Morton Report. Retrieved 2012. ^ Edward Morris (May 9, 2012). "Tammy Wynette's Stepdaughter Says Singer's Children Agreed on Name Switch". CMT News. Retrieved 2012. ^ Edward Morris (March 5, 2012). "Tammy Wynette's Name Removed From Her Nashville Tomb". CMT News. Retrieved 2012. ^ "The TV Interview That Haunts Hillary Clinton". politico.com. Bufwack, Mary A. (1998). "Tammy Wynette". In The Encyclopedia of Country Music. Paul Kingsbury, Editor. New York: Oxford University Press. pp. 602-3. 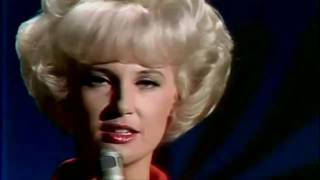 Tammy Wynette - I Don't Wanna Play House (1967). 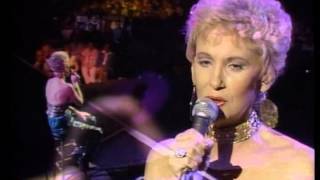 Tammy Wynette "Til I Get It Right"